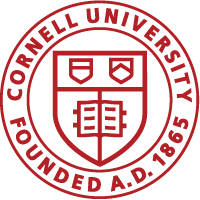 All articles published in Cornell Techies are submitted by students and do not reflect the opinions of Cornell University. Further, we have recently experienced cases of students submitting articles to Cornell Techies that contain subtle advertisements or offensive content. In those cases, we removed the articles promptly thanks to whistleblowing from our blog readers. If you find such content in any posts, we are deeply sorry. We request that you report any advertising or offensive content to us immediately and we will edit or remove the article as necessary. Thank you. Cornell Techies is a collection of Cornell student-submitted articles on technology and business. If you would like to submit an article to Cornell Techies, please email us. The biggest indication that you are about to hire a good web designer is an impressive resume with a long list of past professional work. Experience brings skill. Experienced web designers can anticipate potential problems, are less likely to make errors, and can advise on what work and what doesn’t. Past work experience also indicates that the web designer is good enough to be hired over and over again. It’s not advisable to hire newbies, unless they are under professional supervision. They will also know which tools, web hosting, and conversion strategies work best for your website if they are more experienced. Any really good web development or SEO software professional will meet deadlines. The design process can become chaotic if the site developer is constantly behind schedule. It also indicates disregard and incompetence. So, you should make sure that the person you hire is someone who can meet deadlines. You can ask how long the design process will take right away and whether the person is willing to meet strict deadlines. It can be troublesome to fire someone in the middle of designing your site. All good professional relationships are built on the ability to communicate with each other in a productive and simple manner. If the designer takes forever to answer a question, doesn’t reply to your emails or messages on time, or is not available via phone, then the match will never fit. Also, the person must respect your decisions and input. If they disagree, they must be able to do so in a respectful manner. Rather than putting your ideas down, the designer should be able to offer constructive criticism. Web designers are rather technical people and they do have a tendency to fall back on technical jargon. However, when you ask a question, the web designers must be able to provide you with a clear answer that you can understand. Don’t hire a person who uses too much jargon and never directly addresses a question. They might not know as they initially indicate. A knowledgeable web designer will be able to explain complex problems to you in a clear manner. Hire a designer that basically everyone recommends and has good customer ratings. A good reputation follows truly talented designers. Be careful here though; you could end up buying into hype. If possible, follow up on references to make sure the designer is as reputable as he or she claims to be. You can also ask for recommendations from people in the field that you know and trust. The most important quality of a web designer is the ability to understand your business. Web design is not all about the visual aspects. There is more that goes into building a site that result in conversions. If the designer doesn’t understand your business, they won’t understand your customers either, and will be unable to deliver a layout that results in good conversion rates. When hiring, ask probing questions to make sure the designer understands what your company does. When hiring a web designer, always look for the above qualities. You should think beyond the cost to make sure you end up with a truly great product. If you would like to contribute an article to Cornell Techies, please email us.